2006- Photo courtesy of Drew M.
Airport Attendance Schedule 7 Days A Week 0630-2230; AFTER HRS BY PRIOR COORDINATION CALL 570-368-2651. Airport Lighting Schedule DUSK-DAWN. WHEN ATCT CLSD ACTVT MALSR RWY 27; HIRL RY 09/27; REIL RWY 09, AND TWY LGTS - CTAF; MIRL RWY 12/30 OFF. PAPI RYS 12 & 30 OPERATE CONTINUOUSLY. Type of Fuel Available Grade 100LL, JET A (freeze point -40C); FUEL & SVCS AVBL 0530-2200 DAILY; AFTER HRS BY PRIOR COORDINATION CALL 570-368-2651. Airport Certification AIRPORT RECEIVING SCHEDULED AIR CARRIER SERVICE FROM CARRIERS CERTIFICATED BY THE CIVIL AERONAUTICS BOARD; PPR 12 HRS FOR UNSKED ACR OPNS WITH MORE THAN 30 PSGR SEATS 2300-0600 LCL DLY CALL AMGR 570-368-2444. INDEX "B" COVERAGE AVAIL UPON REQUEST CALL AMGR 570-368-2444. TWY 'J' CLSD TO ACFT WITH WING SPAN OVER 78 FT.
FOR LANDSIDE ACCESS FM ARPT AFTER HRS USE COMPUTERIZED GATE SYSTEM AT EAST END OR FBO APRON. 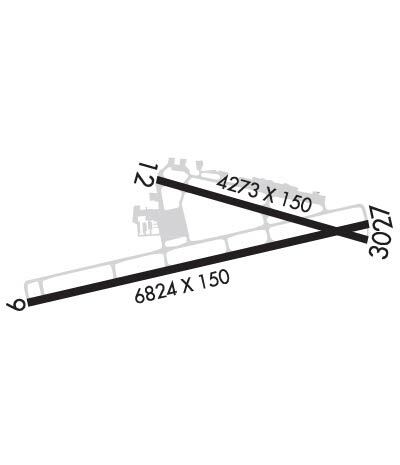 UNLGTD CRANE 90 FT AGL .5 MI SE AER 30 PERMLY. ARPT CLSD TO BANNER TOWING OPNS. COLD TEMPERATURE RESTRICTED AIRPORT. ALTITUDE CORRECTION REQUIRED AT OR BELOW -10C. 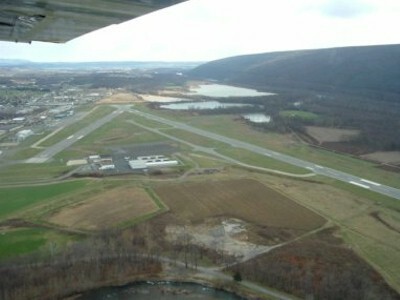 APCH/DEP SVC PRVDD BY NEW YORK ARTCC ON FREQ 124.9 (WILLIAMSPORT RCAG). WHEN ATCT CLSD NEW YORK ARTCC PROVIDES CLNC DEL ON FREQ 124.9. Visual Glide Slope: 2-Light PAPI on LEFT side of Runway Visual Glide Slope: 2-Light PAPI on LEFT side of Runway; RWY 30 PAPI BAFFLED UNUSBL BYD 7 DEG LEFT OF COURSE.